However, the findings also report that faith based communities are often led predominantly or exclusively by men, and for many women the response to their issues is inadequate and in some cases “patriarchy” is enforced. These barriers can force women to feel that they must choose between their safety and their faith. The Office of Multicultural Affairs and Citizenship Multifaith Advisory Group and the Victorian Multicultural Commission, in partnership with expert family violence practitioners, develop training packages on family violence and sexual assault for faith leaders and communities [within three years]. 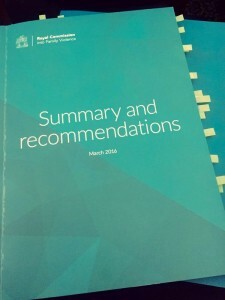 These packages should build on existing work, reflect leading practice in responding to family violence, and include information about referral pathways for victims and perpetrators. The training should be suitable for inclusion as prat of the pre-servicing learning in various faith training institutes, as well as the ongoing professional development of faith leaders. The Department of Health and Human Services consult with the Office of Multicultural Affairs and Citizenship Multifaith Advisory Group, the Victorian Multicultural Commission and women from faith communities as part of its review of standards for specialist family violence service providers (including men’s behaviour change programs), to ensure that these standards and the associated services take account of the needs of people in faith communities who experience family violence [within two years]. 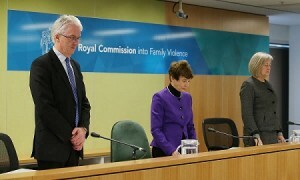 Faith leaders and communities establish processes for examining the ways in which they currently respond to family violence in their communities and whether any of their practices operate as deterrents to the prevention or reporting of, or recovery from, family violence or are used by perpetrators to excuse or condone abusive behaviour. The pages relevant to Faith Communities are available here.